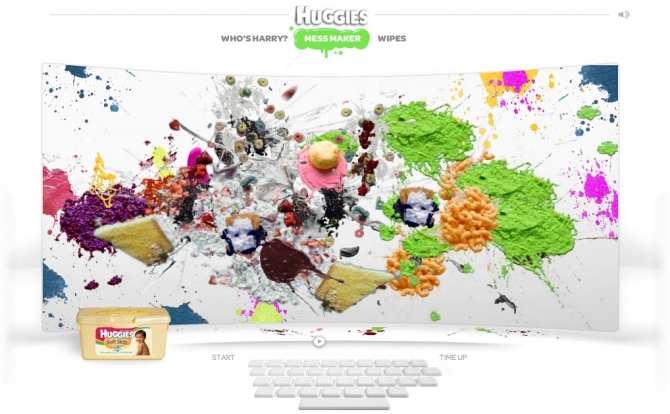 Huggies gave us a simple task: let parents know that Huggies Wipes can clean more than just butts. To do this we decided to tap into what keeps a lot of parents holding their breath at the park and hyperventilating at birthday parties… fear of mess. We needed to spread the news that mess is no longer a four letter word. 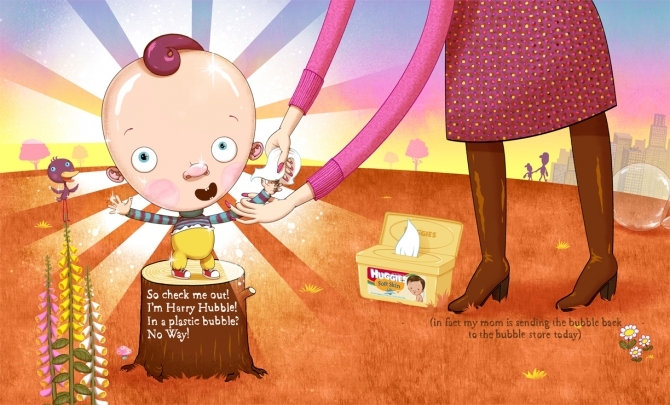 Playing off of several parent’s neurosis we created Harry Hubble, a boy whose over protective mother kept him in a bubble, until she finds Huggies Wipes. Using GarageBand and some b-roll footage, I made this remix for all the moms out there who like to get down in the club. 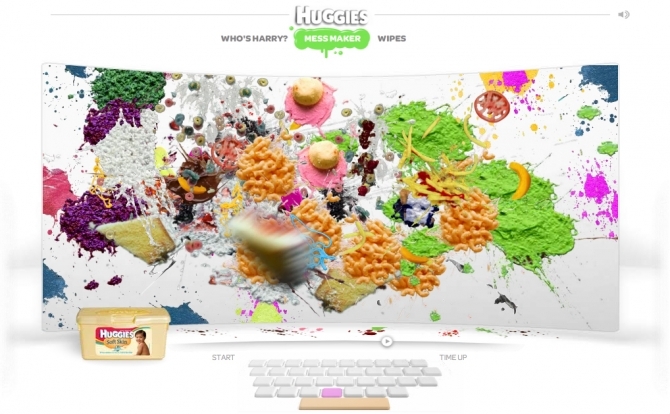 Messmaker.com lets kids create a mess so messy, it really isn’t a mess at all. It’s art. Kids bang on the keyboard with reckless abandon - splattering and splashing a canvas with everything from pudding to paint, baked beans to birthday cake. The result? A beautiful mess-terpiece. And don’t worry about the clean up, that’s what Huggies Wipes are for. 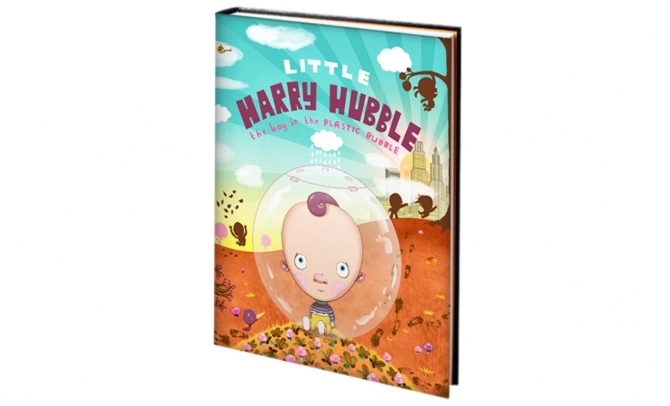 We made this book to tell the story of LIttle Harry Hubble. Harry's mom kept him inside a plastic bubble to keep him away from mess. Enter her discovery of Huggies wipes and the liberation of Harry. 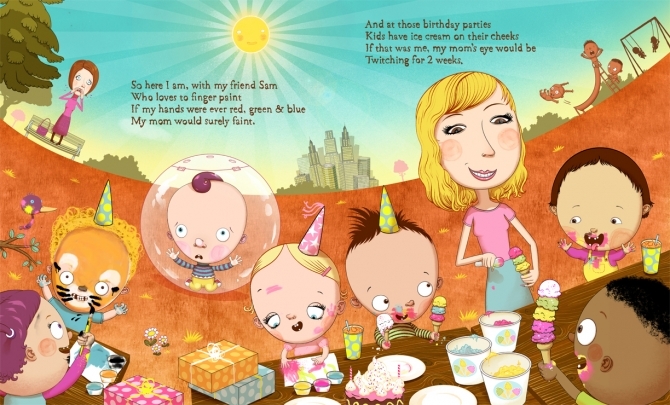 We also did a print version of the book for magazine publication.